The Economic and Financial Crimes Commission on Wednesday re-arraigned a former Head of Service of the Federation, Stephen Oronsaye, before Justice Gabriel Kolawole of a Federal High Court, Abuja, on an amended 35-count charge bordering on stealing and obtaining money by false pretence. In the amended charge dated November 2, 2015, Mr. Oronsaye was charged alongside Osarenkhoe Afe, Fedrick Hamilton Global Services Limited, Cluster Logistic Limited, Kangolo Dynamic Cleaning Limited, and Drew Investment & Construction Company Limited. Messrs. Oronsaye and Afe, who is the managing director of Fredrick Hamilton Global Services Limited, were present in court. However, the other defendants were absent. Counsel to Mr. Oronsaye, Joe Agbi, SAN, raised no objections to the application of the prosecution, neither did Oluwole Aladedoye, counsel to Messrs. Afe and Fedrick Hamilton Global Services Limited. Following their plea, prosecution counsel, Mr. Atolagbe asked the court for a date for commencement of trial. He also notified the court that the prosecution had 22 witnesses it intended to present in court. The defence counsel expressed readiness for the commencement of the trial. They further applied that Justice Kolawole allow their clients to continue with the earlier bail granted them on July 21, 2015. The prosecution did not raise any objections to the oral application. Since there was no objection to the application, the trial judge acceded to the request and further adjourned to June 9, 2016 for “commencement of judicial trial”. Mr. Oronsaye first appeared before Justice Kolawole on July 13, 2015, where he was confronted with a 25-count charge, to which along with his co-defendants, he pleaded not guilty. The trial judge had fixed February 16, 2016 for them to enter their plea for the amended charges. 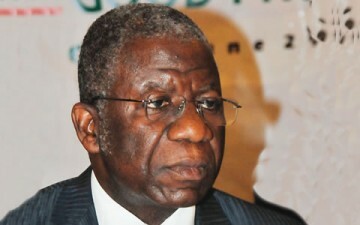 The case file, was however, afterwards transferred to Justice J. T. Tsoho of a Federal High Court, Abuja. Presiding over the case for the first time on February 16, 2016, he adjourned to March 1, 2016 for them to take their plea on the amended charges.